We are seeking an enthusiastic amateur predator angler to complete the line-up for a new fishing show. 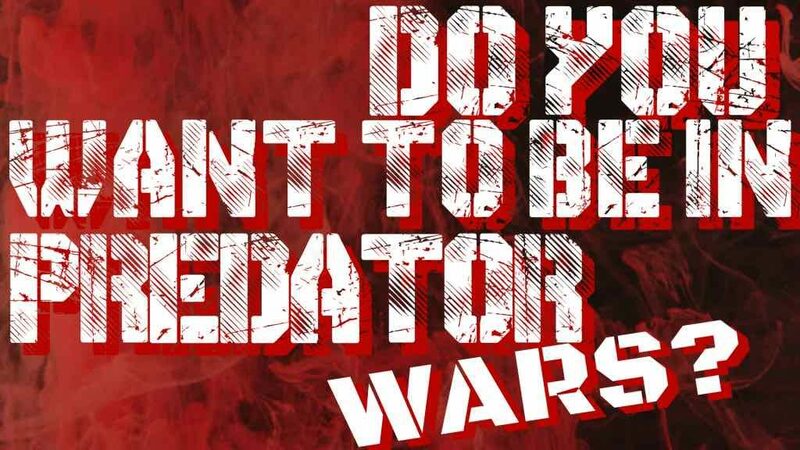 We’re taking the Carp Wars concept and moving it into the predator fishing world. Ant Glascoe Jr – a professional angling consultant and predator specialist with a penchant for kebabs and rock music. Jonny Stephenson – professional predator fishing guide who specialises in stalking the Norfolk broads on his kayak. Babs Kijewski – perhaps Germany’s most famous angler; an all-round-er with a passion for predator fishing, she’s appeared in numerous fishing shows over the years and will be a familiar face to many. Matt Boast – a competition predator angler who travels the UK and the rest of the world seeking out new fishing experiences and putting his skills to the test against the rest. Jo Stephenson – semi-finalist in the BBC’s Earth’s Wildest Waters – The Big Fish, and, coincidentally, husband of Jonny. She’s particularly keen on fly-fishing for predators, and ties her own flies for just such a purpose, but is a confident all-rounder. AN Other – As in Carp Wars, FishingTV will be holding a competition to find the 6th angler, someone with a passion but for whom fishing is not a career. Hopefuls should record a short (2 – 5 minutes) video of themselves, explaining why they would be right for the last place. FishingTV are looking for someone with screen presence as well as solid predator angling skills – enough to take on some of the biggest names in the sport as well as the meanest fish. The chosen angler will join the big guns in a 15-match round-robin competition, with the anglers fishing head-to-head matches on a variety of venues around the UK, from reservoirs and drainage channels to Broads and rivers, targeting the fiercest freshwater fish in the UK: pike, zander and perch. your fishing ability – we will expect the winner to be competent and comfortable using the majority of predator fishing techniques as used for targeting perch, zander and pike. An ability to use a fly rod, or fish from a kayak will also be a bonus. Please note that the last place in the competition is only open to amateur anglers – if you’re making a living in the fishing world you won’t be considered.